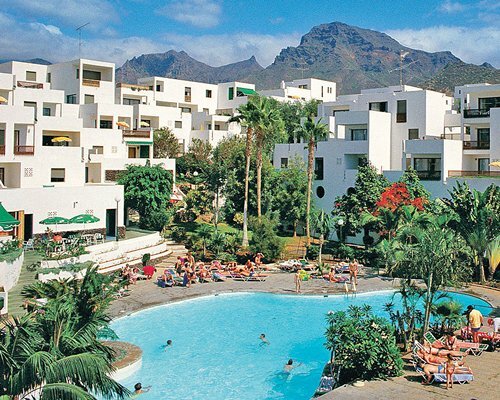 The timeshare resort of Sunset Bay at Torviscas is located just a short distance from the beach, the colourful Puerto Colon marina and very close to the busy centre of Playa de las Americas. 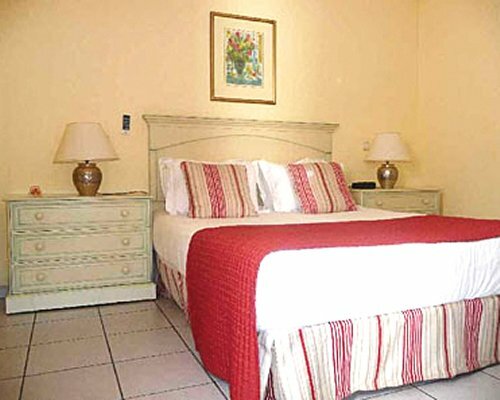 This wonderful family Resort boasts two swimming pools, one of which is acclimatised during the winter months, onsite Restaurant and snack bar, grocery and linen services and an array of other activities to entertain young and old. 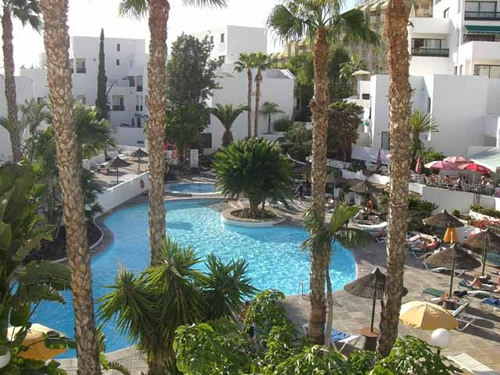 Sunset Bay has various accommodation styles including comfortable studios, 1, 2 and 3 bedrooms apartments, which all feature a complete bathroom and separate shower room. Inside you will be home to a spacious living area with furnishings of a high standard, flat screen television and DVD player, as well as a beautiful spacious balcony or terrace, all to make your stay as pleasant as possible. 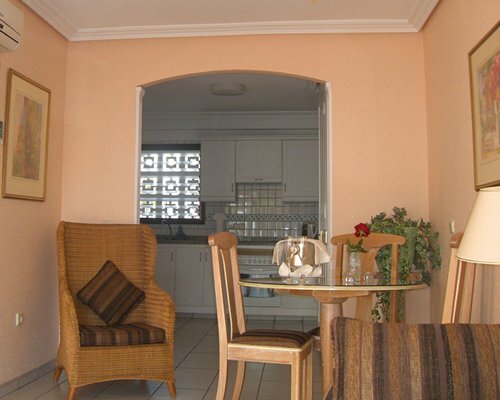 The partially equipped kitchens include a refrigerator/freezer, microwave, toaster and coffee maker. Other amenities include, telephone, iron & ironing board, air conditioning, and safety deposit boxes.